Blowout Sale! Free Shipping Included! 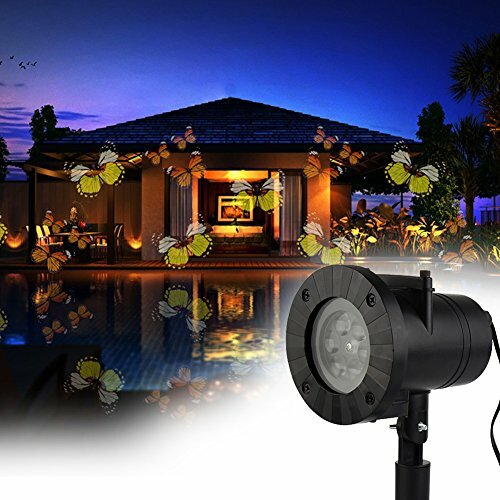 Save 62% on the Christmas Landscape Lights Projector Waterproof Outdoor Christmas Card LED Snowflake Projection Lamp for Holiday Christmas Tee Garden Patio Stage Decoration (Butterfly Light) by TOPCHANCES at Defy Now. MPN: LE. Hurry! Limited time offer. Offer valid only while supplies last. Features: 1. Healthy soft LED light, can protect your eyes. 2. Power with 4W,energy-efficient and durable. 3.Simple and lightweight for use. 3.Simple and lightweight for use. 4.Waterproof IP65,weather-resistant cap to help protect the connection from the weather. 5.Comes with a 16.4 feet cord making it great for using outdoors. Waterproof: IP65,can even use in the rain weather, but can't use in the heavy rain weather. Recommended daily usage time: 4-6 hours (2-4 hours in the rain day). Safety and Healthy:Adopted brighter projected pattern than other normal projector lamps safety for your eyes.UL GS CE Approved.Waterproof IP65,weather-resistant cap to help protect the connection from the weather . Outdoor/Indoor Use:Has a stand so that you can prop it up in different directions and a spike in case you want to put it in the ground..Comes with a 16.4 feet cord making it great for using outdoors. Durable aluminum material, the life span of this Xmas LED projector flashlight is about 60000 hours,beautiful bright LED lights to create a magic atmosphere with the moving snowflakes. Snowflakes Christmas Projector:Projecting the falling snow patterns moving automatically onto the wall, suitable for Christmas decorations, garden/yard/house/wall decoration.make more fun for your party, festival and family party.